Comic books have often run parallel to social movements, with real-life storylines often finding themselves in illustrated story-boards. In late 2015, DC Comics featured Batman as a caped crusader who interfered with an impending act of police brutality against a person of color, reflecting the heaviness in the air in the age of Black Lives Matter. But that wasn’t the first nor the most recent example of a diversity in perspectives appearing in the world of comic-book heroes. Marvel’s Black Panther – also known as T’Challa – was the first Black mainstream superhero and first appeared in 1966 and now, 50 years later, he’s getting his own film, although not until 2018. However, he’s not the only Marvel character making news for breaking racial barriers. In fact, the latest is also helping to break the gender mold. Today (July 6), Rolling Stone announced that Marvel Comics has some historic changes in store for one of its most popular characters. Iron-Man – a/k/a Ghostface Killah’s favorite superhero, Tony Starks – is going to appear in forthcoming comics as a Black woman who will be fighting crime in his metal suits. 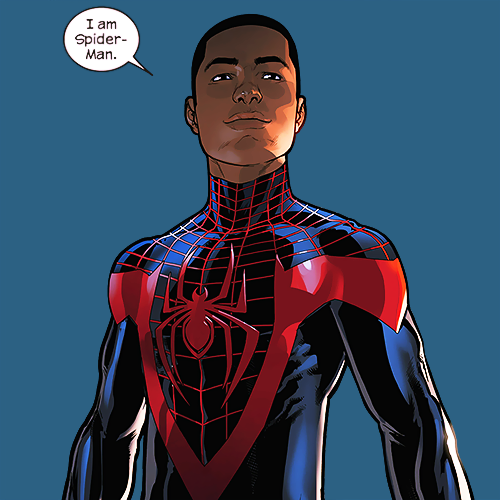 Riri Williams (perhaps a nod to Rihanna) is the character’s out-of-costume name, and she is “the creation of Marvel writer Brian Michael Bendis, who previously created the popular black hispanic character Miles Morales, who assumed the role of Ultimate Spider-Man in 2011,” writes Daniel Kreps. “Williams, like Morales, is part of Marvel’s larger endeavor to diversify both the ethnicities and genders of their superhero staple,” he reports. She’s the latest to join Marvel’s first Muslim superhero Kamala Khan, as well as female renditions of classic male characters such as Thor and Wolverine. The diversity has also extended into sexual orientation, with Ice Man having come out as gay in a 2015 comic. According to the report, Riri will appear “as soon as Marvel wraps up their current Civil War II storyline.” And, while Riri won’t be handling her superheroine duties with the name Iron-Man, she is nonetheless representative of a growing interest in the diversification of faces and experiences in mainstream culture. For more information, head to Time for an interview with Bendis in which he divulges the history behind her creation, and what her character means for comic-book fans.